Gareth Edwards will be reuniting with his Godzilla composer, Alexandre Desplat, for the newly titled Star Wars: Rogue One. It was thought that Star Wars composing alum John Williams would be the one who would conduct the score, but a new details reveal that that isn’t the case. 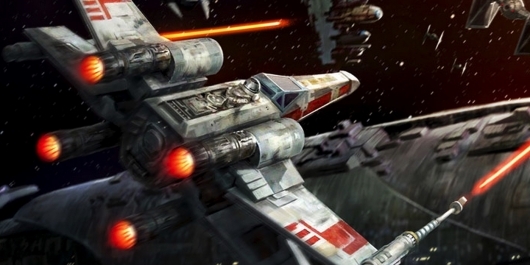 The plot of the franchise’s first spinoff film is still unknown, but based on the title alone, many speculate it would have to do with the Rebel Alliance’s elite X-Wing pilots, the Rogue Squadron. Hit the jump for more. Desplat won the Academy Award this year for Best Original Score for his work on Wes Anderson’s The Grand Budapest Hotel. He was also nominated for his work on The Imitation Game the same year. His other credits include Argo, Harry Potter and the Deathly Hallows, Fantastic Mr. Fox, The Curious Case of Benjamin Button, and Zero Dark Thirty. The 83-year-old John Williams, who scored all six of the Star Wars feature films, will not be composing the new standalone movie. Age may be a factor, but also the franchise is headed in a whole new direction with these spinoffs, so a different composer adding a fresh new sound would not only lighten Williams’ workload but also provide an exciting take on Star Wars music as a whole. Recently, at a stockholder’s conference, Disney CEO Bob Iger revealed the title and that Academy Award nominee Felicity Jones would be the film’s lead female character. While we may not know what the plot of the film is about, we do know that Edwards will be directing using a script by written Chris Weitz based on a draft penned by Gary Whitta. Here are the tweets (via @MakingStarWars) confirming Desplat’s involvement. @MakingStarWars He says it around 56.13. Just in case you want to make a post about it, I have seen no reports of it so far. Composer #AlexandreDesplat has announced that he is set to score the first #StarWars spin-off, #RogueOne, for director Gareth Edwards.